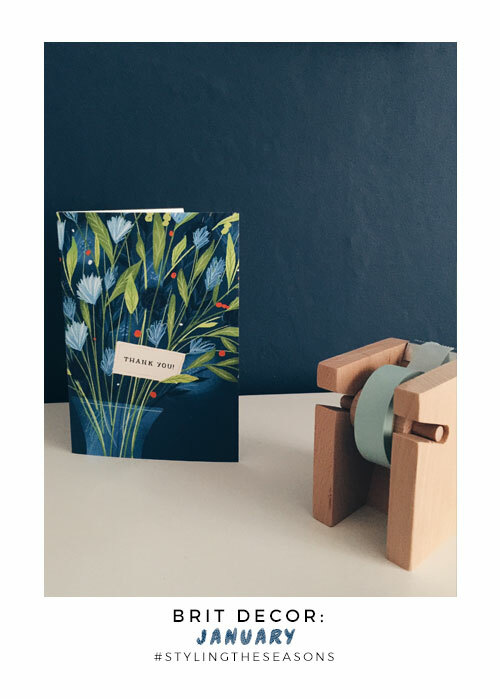 For this, my second #stylingtheseasons post, I really wanted to think carefully about my 'take' on January. 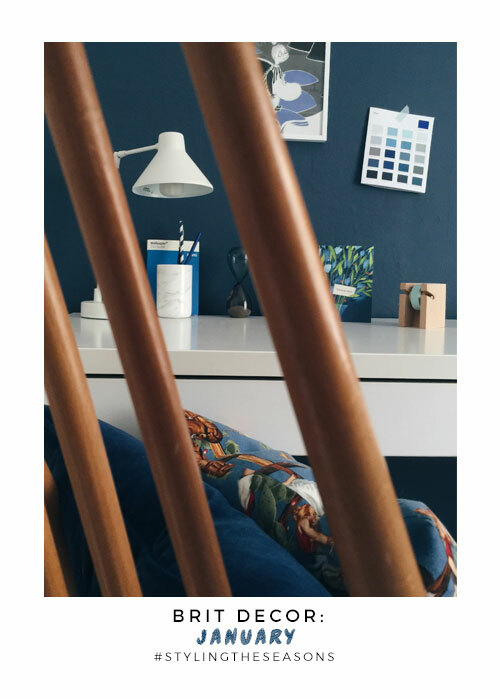 Yes it's traditionally a time when people can feel blue about the end of the Festive season, but for me, blue is a much more positive colour - it has so much depth and reminds me of endless blue skies or the deepest of oceans. 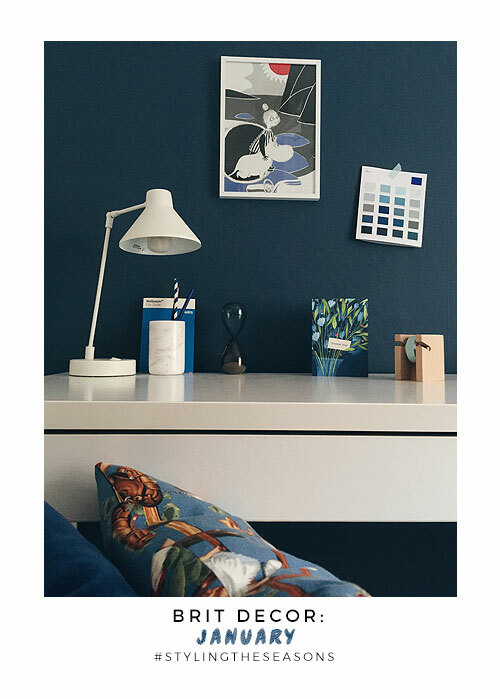 I am really big on curating collections of treasured objects (new and old) from around the home for the ultimate in personal touches, and today's little corner of my office at the Brit Decor cottage brings together some of my favourite blue 'things' set against the perfect back drop of Farrow & Ball's 'Stiffkey Blue'. 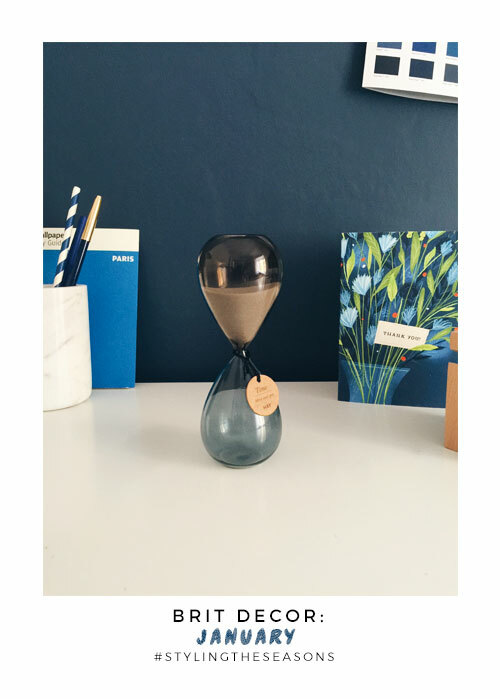 I'm absolutely smitten with the smokey tones of my new blue and grey 'Time' hourglass from Hay, which seems highly appropriate given the recent passing of time from one year to the next. 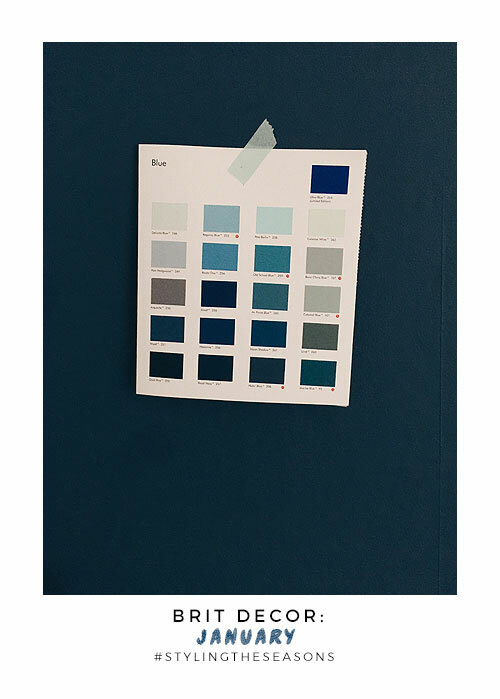 As you might expect, my workspace is filled with colour charts and I like to leave particular colour cards laying around if I'm mulling over a scheme, like this blue palette from Little Greene. 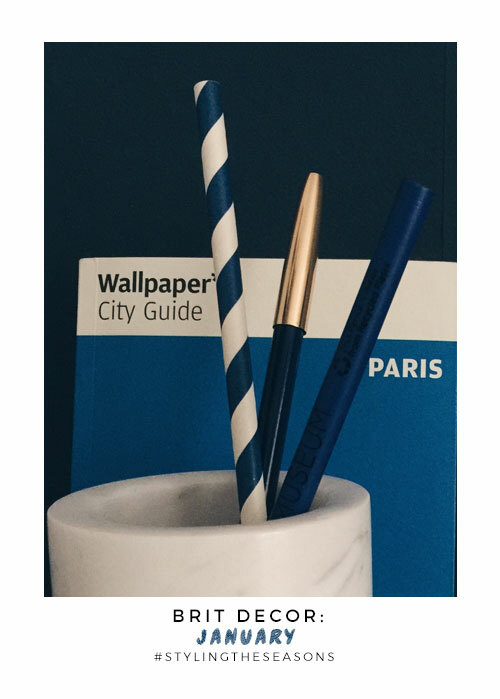 These are also really useful for picking out co-ordinating accents when choosing accessories. Absolutely, hoping for a calm year ahead! #stylingtheseasons is so much fun too.